“Serious Mexican food and drink – casual everything else!” ¡Caramba! 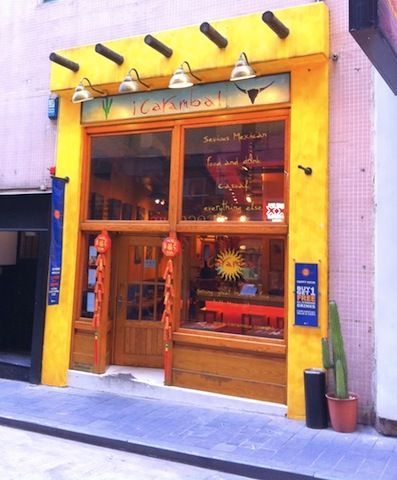 has two locations in Hong Kong and is considered one of the best Mexican restaurants in the city. Platters with side dishes: tacos, burritos, enchiladas, chimichangas, fajitas, etc. ~ $125-$148 HKD.